Massive Consumer Spending Event Headed Your Way! Are Younger Consumers Shunning Credit? 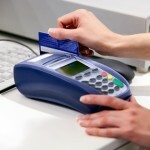 How Will Credit Card Fee Changes Affect Consumer Credit Card Use?